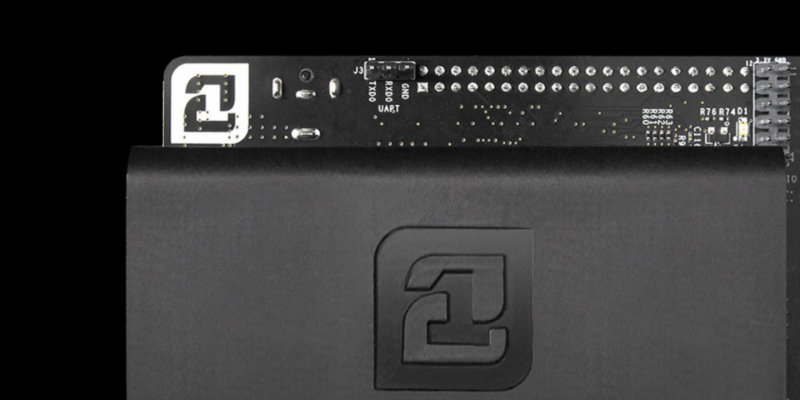 With its signature hardware product now shipping to users in the US, Canada and Europe, 21 Inc is seeking to roll out its next stage in development, a decentralized, bitcoin-incentivized network of the devices. 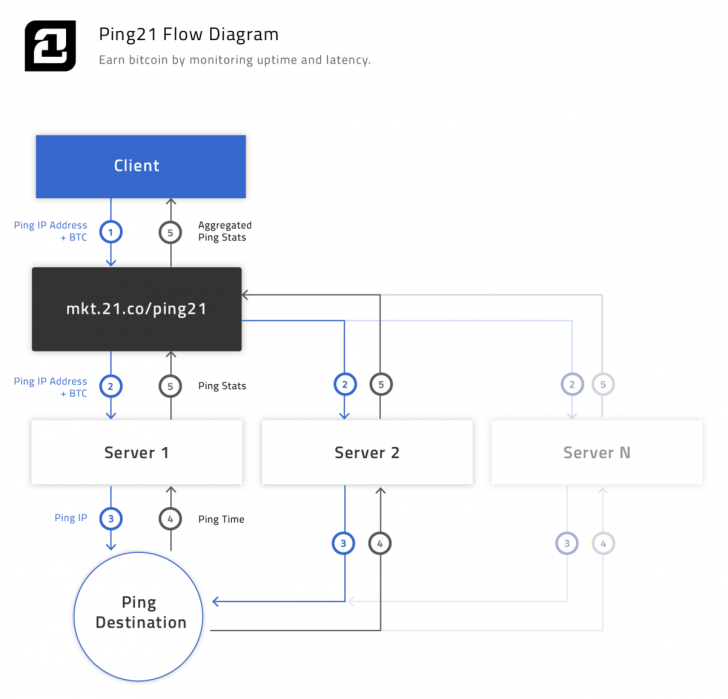 21 Inc announced the launch of Ping21 today, a new proof-of-concept it envisions as a competitor to website monitoring services such as Pingdom or AlertFox. Today, webmasters use such services to determine how a website is performing in different markets, in the case of Pingdom, paying between $13 and $454 a month for the service. What 21’s grid now allows is that Bitcoin Computers all around the world to be called with a single command, a factor the company said offers advantages over the pinging networks of today. For example, a company’s website might be up and running in New York, but in Florida, Spain, and South Korea, there could be problems. However, with the Ping21 service, a webmaster could issue a single command and receive the uptime and status of their website in dozens of countries. Rather than paying the hundreds of dollars for a subscription, the cost per ping would drop significantly, the company said. By utilizing its recently launched Micropayments Marketplace, a client can submit a request to the network along with bitcoin for payment. Bitcoin Computers enrolled in the Ping21 service will then be automatically contacted to perform a ping, check the website, collect any necessary data and submit it back to the marketplace where the user can aggregate stats. Afters its launch, the company is focusing on allowing developers to expand on other applications for its bitcoin-incentivized grid. While the Ping21 is one possible implementation of the bitcoin-incentivized grid, this concept of a many-to-one ping service opens up others avenues for machines to transact. With each device having its own wallet, 21 Bitcoin Computers can buy and sell data in ways that would otherwise have not been possible, the company contends. Srinivasan explained that over the coming weeks, 21 would be announcing further proofs-of-concept to demonstrate how its grid could be used in applications for the Internet of Things. Tyler Pate, a software and hardware engineer at 21, echoed this larger vision stating that he expects 21 users to innovate by exploring new ways to monetize data and services. “We think the ability to easily monetize data will give both individuals and corporations motivation for expanded innovation in connected devices,” he said. Andrew DeSantis, an engineer at 21, explained that the ability to send and receive bitcoin payments from machine to machine has the potential to unlock a new kind of “machine economy” in which machines routinely trade data and services for bitcoin. DeSantis explained that when the 21 Free Client is released, there could be nodes in thousands of locations, creating a complete planetary web of machines that are buying and selling information. All of this becomes possible without a human needing to initiate each action. 21 sees the proof-of-concept as step one in a larger vision of creating a free market maintained by Bitcoin Computers. For example, DeSantis speculated that there is the potential for market-based dynamics to develop, whereby those in densely populated areas, nodes will have to compete to sell data. “So in New York City, it has a lot of endpoints. There could be hundreds or thousands of people selling the weather or offering their pinging service to you. In Nebraska, though, there might be far fewer endpoints, which means that those users could charge more,” DeSantis explained. He compared variable pricing to the way surge pricing works with Uber. When there are a lot of cars on the road, but demand is relatively low, the price remains at the 1x multiplier. However, if it is rainy or rush hour, more people will begin demanding the service, thus increasing the multiplier. On top of supply and demand market dynamics, the pricing could continue to rise to incentivize those that otherwise don’t want to connect to the network. Pate explained that part of running one of these nodes was the ability to choose which APIs to connect to. Pate even went so far as to speak to the implications of allowing Internet users to reclaim ownership of their data.